At the villages Palaiopyrgos, Oraiokastro Doliana and Kalpaki, of Pogoni there are traditional watermills and fullings that have been characterised as presrved monuments. They have been restored and everyone can visit them, so everyone can see a live part from the daily routine of the habitants of Pogoni. 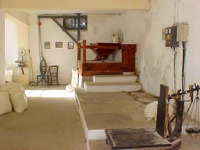 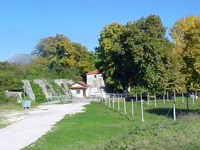 The watermill and the fulling of the village Agios Kosmas have also been characterised as historically preserved monuments.